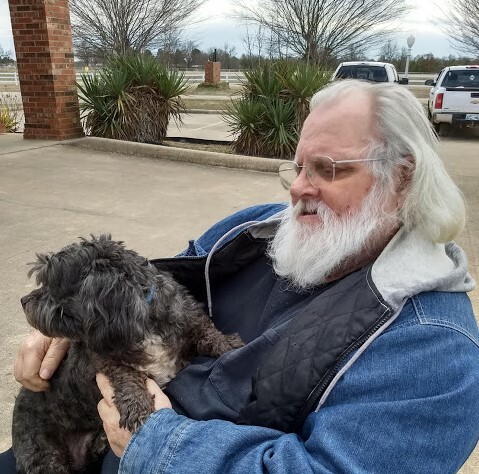 Raymond Allen Wright, age 71, went to be with our Lord on April 10, 2019 in Hugo, Oklahoma. He was born on May 13, 1947 in Brooklyn, California to Robert Wright and Dorothy (Worrell) Wright. Raymond served in the Navy before receiving his PhD. He was of the Baptist faith and loved painting and writing. Raymond was a resident of Southeast Oklahoma for over 40 years. He is preceded in death by his father, Robert Wright. Raymond is survived by his mother: Dorothy (Worrell) Wright of California; son: Jeremy Wright of Washington; sisters: Cathy McIntosh of Arizona, Stennett Shute of California, and Linda Roundtree of California; and friend Juanita Miller of Corrinne, Oklahoma. Graveside services will be held Friday, April 12 at 10:00 AM at Corrinne Cemetery. Services have been entrusted to Serenity Funeral Service of Antlers, Oklahoma.